You have to wonder if the heat is getting to people or something! Every story in the news lately seems to be about a hate crime. While we celebrate the joys of life, it is hard to do so without reflecting on the dark moments that are going on throughout the nation. Two weeks ago, when one drove into the small town of Algoma, Wisconsin, one was greeted by more than just a welcome sign. Six signs, painted on plywood were pounded into the ground at the entrance of the town. Following the “Welcome to Algoma” sign and its population facts, there were signs that read “Jews go home” and “Kill all Jews,” signs that had swastikas on them. Such anti-Semitism, such hate and hate crimes, is not new for the Jewish community. Unfortunately, such hate isn’t new for this country either, and thus, it does not always seem to be news-worthy. Just this past week, in a clear hate crime, two men holding hands in the Chelsea neighborhood of Manhattan were beaten up by six other men, who accosted them on the sidewalk yelling anti-gay slurs. At the beginning of the summer, in mid-June, a seventeen-year-old entered a neighborhood in Santa Barbara, California, beating a man with a hammer screaming at him to get out because his kind was not welcome in the community. The 40-year-old man was of Mexican descent. The seventeen-year-old criminal with a hammer was going on a splurge of hate crimes towards the Hispanic community. Hate crimes, bias-motivated crimes that occur when the perpetrator targets a specific individual or group because of race, religion, ethnicity, sexual orientation, gender identity, or disability, are incomprehensible. The question is, how do we respond to such hate? Four years ago, President Obama signed into law the Hate Crimes Prevention Act, named after Matthew Shepard, on the ten year anniversary of the date when he was brutally beaten, and tied to a fence, eventually left for dead — murdered — in Lamaire, Wyoming because of his sexual orientation. The goal of this law was to expand the definition of a hate-crime and thus, to prevent such crimes from taking place. The quick news brief that I just shared suggests that such crimes continue, that such hate continues We need to continue to fight hate crimes, but I believe that legislation is not the only answer. What we truly need to fight is hate. Passing legislation does not end hate. Only promoting love truly ends hate. This sounds elementary and pediatric. Some may think that such an idea is immature or too simplistic. 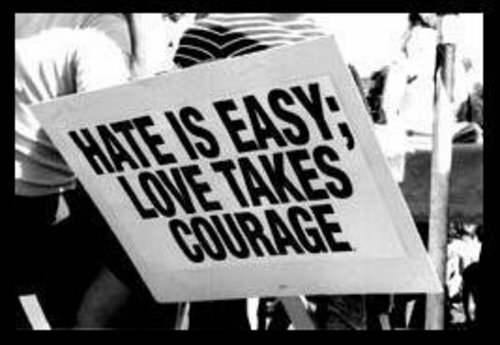 However, to love, to truly love, despite the hate that surrounds us is the most difficult, yet most sophisticated response we can take. That begins at the basic level. That begins with inclusion as children and that begins with inclusion as parents. That begins with acceptance of all, for all of us have felt excluded at times. All of us have felt hated by a stranger, hated not for something we have done, but for who we are or who we are not. Our natural response, our animal instinct, is to hate them back. Our animal instinct is to hate another because we feel hated. Instead, I want to push us to love. That is the hardest thing to do. To love instead of hate. To embrace those who have scorned us. Yet, that is what we are supposed to do. At the conclusion of last week’s Torah portion, Parashat Ki Tetze, we are reminded of this. In the middle of Moses’ farewell address, the Torah portion ends with a dark reminder of what happened to the Israelites while wandering through the desert. While wandering, the People of Israel were attacked by Amalek. We are pained by such an attack because this wasn’t simple warfare. The warriors, the soldiers, were not attacked. This was not a battle. Instead Amalek snuck up on us from behind and murdered those who were in the back of our caravan, the innocent women, children, babies, and elderly. This attack, a biblical hate crime, has such a lasting negative impact on our collective memory as a people that anyone who has attempted to destroy the Jewish people is identified as a descendant of Amalek. Haman, who tried to murder the Jews of Shushan, a story which we reread every Purim, is considered by tradition to be a descendant of Amalek. Many in the Jewish community consider also Hitler to be a descendant of Amalek and more recently, Mahmoud Ahmadinejad to be a descendant as well. How can in the same verse, the last verse of the Torah portion, Deuteronomy 25: 19, it can say Teem’che et-Zecher Amalek, to erase the memory of Amalek, and also command us Lo Tishkakh, to not forget?! How can we be told to simultaneously not remember, but also to not forget? Ultimately, these are two different charges. “Do not forget” demands that we never forgot the painful events that we have been victim to throughout our history. Do not forget the victims of these events. Do not forget that hate and hate crimes are still reality. However, where do we go following painful events? Do we also participate in what can only be defined in 2013 as a hate crime because we were the victim of one? Do we stoop to the level of those who are so unfortunately lost in this world that they can’t see that we are each made in God’s image? NO. We can’t. We mustn’t. We are better than that. We must be better than that. Radical rabbis (and even more mainstream traditional commentators) may suggest erasing the memory of Amalek means erasing Amalek, blotting them out, destroying the people. I disagree. It’s about erasing the pain, the hurt, and the grudge that is the result of such a hateful act. In order to end the endless cycle of hatred we must be able to move on. To erase the memory of a scornful act is to give another a clean slate, but also to give us a clean slate. For holding the grudge is much harder. We too often hold a grudge towards another, not because of something that was done to us, but instead because of something done towards someone else generations ago. Like a modern day Romeo and Juliet – but hopefully with a happier, less Shakespearean ending, we must be able to accept that acts of another, from a previous generation, does not make them our enemy today. Instead, let us make that enemy our friend. During this Hebrew month of Elul, leading up to the High Holy Days, during this time of Yamim Noraim , these Days of Awe and Amazement, we are taught to do Chesbon Hanefesh, an accounting of the soul. We are not asked – or even permitted – to take such an accounting of another. It is not our job to judge another. Rather, we can only turn inwards, and reflect on who we are, how we act, whom we embrace, and how we can change. Leading up to the High Holy Days, we pray for a fresh start. But it doesn’t just happen. We make it happen – through love and through letting go. We make it happen through being able to forget, even if we never quite forget. May we never forget the victims of hateful acts and hate crimes. Yet, may we – in the year ahead – be willing to erase the hateful feeling inside us. May we remember to love, so that this feeling is all that our children will ever know. To live in a world full of love! That is something that I would surely remember, and never forget. The Pop Elul Project is an attempt to find Torah and God in the things that consume us. For many of us, our free hours are consumed by watching television, nights out are to the movie theater to see the newest release, and our computers are playing the latest top hit on Spotify while at work. Pirkei Avot (The Ethics of our Sages) 3:3 teaches: Rabbi Chananiah Ben Tradyon would teach: two who sit without discussing words of Torah are scorners. Too often, one interprets this teaching as a lesson that time shouldn’t be wasted. We shouldn’t waste our time with that which is silly and meaningless. All conversations should be about Torah, about faith, about our religious tradition. We also assume that movies, television, music, and pop culture in general have nothing to do with our faith. However, I don’t believe that watching the hit tv show on Sunday evenings or seeing the new blockbuster in theaters makes us scorners. Rather, it offers entry points and opportunities for us to wrestle with Torah and wrestle with God. By embracing pop culture, we can still embrace our tradition and discuss words of Torah. The month of Elul is the month leading up to the High Holy Days. This month begins a period known as the Yamim Noraim, the Days of Awe and Amazement. We are supposed to spend this month reflecting on the themes of the Days of Awe (including repentance, prayer, renewal, justice, and faith) to prepare us for the High Holy Days. The goal of the Pop Elul Project is to use pop culture (television, movies, music, books, sports, etc.) to embrace the themes of the High Holy Days. With each day of the month of Elul, a new blog post will introduce an aspect of pop culture that is “trendy.” Each post will serve as an entry point to help us relate the themes of teshuvah to our lives. May this project prepare us for a good, sweet, new year full of new opportunities and a clean slate. 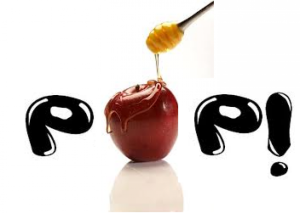 The Pop Elul Project will go live with daily blog posts beginning on Rosh Chodesh Elul. You can check it out at http://www.popelul.com. I look forward to discussion, debate, and sharing words of Torah through this project. Are Heroes Supposed to be Perfect? The past couple of weeks have been stressful for me as a baseball fan. Why you ask? For those of you that don’t know, last week was Major League Baseball’s trade deadline. You see: with a third of the season left, Major League Baseball sets a deadline for teams to make trades, for contenders to acquire those missing pieces to take them to the playoffs, while the cellar dweller last place teams stock up on young prospects to make them better in the long term. After all, this is only the second time in fifteen years that my beloved Orioles were still competitive by mid-summer, so I was particularly interested in the wheeling and dealing. This year’s trade deadline was especially interesting. With a another steroids scandal going on in baseball and the eminent suspension of several players, contenders were making trades to prepare for their hitters that’d be suspended and miss the rest of the season. However, the big news in the steroid scandal weren’t players for preseason favorites like the Detroit Tiger’s shortstop or Texas Rangers’ right fielder. It wasn’t even the circus of performance enhancing drug user Alex Rodriguez, the Yankees’ third baseman who is the highest paid player in baseball history. The big news was about the big bat having a bad year for a bad team. Ryan Braun of the Milwaukee Brewers was suspended for the remainder of the 2013 season. Braun tested positive last year for performance enhancing drugs, but was not suspended due to a technicality and claimed that he was framed. Sports writers and reporters have since nicknamed him Lyin’ Braun. 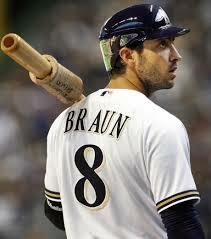 Braun, won the 2007 National League Rookie of the Year and the 2011 National League Most Valuable Player award. Why does this concern us? In doing so, he became the first Jewish Major Leaguer since Sandy Koufax in 1963 to when the MVP. Braun, nicknamed the Hebrew Hammer, for his mammoth swing and Jewish roots (his father is Israeli and his grandfather is a Holocaust survivor,) became the latest Jewish athlete in the mold of Hank Greenberg, Sandy Koufax, and Shawn Green, that the Jewish community had excitedly embraced as their own. Yet, the Jewish community hung our heads in shame when he was the goat of the performance enhancing drug scandal. Was it because our hero was a disappointment? Was it because our hero was a cheater? Did we expect something better because he was Jewish? Did we hold him to a higher standard? Did we hope that even if he did something wrong, no one would find out because he was Jewish? There is a Yiddish proverb (frankly one that I don’t like repeating because I find it to be offensive,) that fits perfectly with our irrational fears in this situation: Shanda fur di goyim. Such a phrase concerns Jewish embarrassment when a fellow Jew does something wrong and really bad in public, in front of the world. Maybe it was the fear that such an act will lead to a rise in anti-Semitism. Maybe it was the fear that people would assume Ryan Braun, or any Jew in the spotlight for that matter, represents the entire Jewish people and if one cheats, then all Jews must be cheaters. That is why so many in the Jewish community seem even more disappointed and angry that Jewish Bernie Madoff was responsible for the biggest ponzy scheme in history, or that Jewish Eliot Spitzer solicited prostitutes or that Jewish Anthony Weiner can’t stop tweeting obscene photos. Braun doesn’t wear a kippah. He doesn’t keep kosher. He didn’t even pull a Sandy Koufax and sit out a playoff game because of the High Holidays. Braun happens to be Jewish, but certainly didn’t sign up to be the Chief Rabbi of the Jewish people. We loved him anyway as our own. “Jewish kids everywhere just lost a hero.” Wow. What a statement. I thought about the statement and asked myself: “What if we knew he cheated, would we not want him to be caught for the sake of saving face?” “Would we rather have a Jewish hero who cheats or a shattered and damaged idol?” After all, we are not perfect. Why would we expect our heroes to be perfect? This past week, we learned on Parashat Re’eh that God commands us to open our eyes: Re’eh. See. We shouldn’t be blind to the fact that we are human. We embrace the fact that we are human. See that Anochi Noten lifneichem HaYom bracha uklalah. See that you are standing here with a fork in the road, in front of you a path of blessings, a path of always doing the right thing, and a path of curses, a path of lying, of cheating, of making mistakes, and doing wrong. The reality is that what the Jewish people see – re’eh – is not a fork in the road at all. For no one has a single path of blessing and no one have a single path of curses. We have a bumpy road, each of us making good choices and bad choices, each of us doing things that we are proud of while also making decisions that we later regret. We pronounce the blessings standing atop Mount Gerizim and the curses atop Mount Ebal and as we cross the Jordan into the promised land, as we live our lives, we are surrounded by blessings and curses. The reality is that sometimes we do right and sometimes we do wrong. Do we want heroes that are perfect? Or do we want heroes that learn from their mistakes? After all, Moses — about whom we are told at the end of the Torah v’lo kam navi od b’Yisrael k’Moshe, that never again was there another prophet and leader among the people of Israel like Moses — lost his cool, yelled at God, yelled at the Israelites and called them idiots. He never entered the Promised Land. Yet, he was still our leader. King David was romantically interested in Batsheva and sent her husband Uriah to the front lines of a war zone, with the intention of having him killed, so that he could marry Batsheva. He was still our king. Aaron was the high priest and first spiritual and religious leader of the Jewish people and he was responsible for gathering the gold jewelry of Israelite women, melting it down and making the Golden Calf. Jacob, Israel, our namesake as the Children of Israel, tricked his brother into selling him his birthright and tricked his father into giving him his blessing. He was still our namesake. Even the patriarchs and leaders of the Jewish people are flawed. That is what makes our story so fascinating. We do not expect perfection. So why then, are we disappointed by the mistakes of our heroes? Why are we disappointed when Braun takes steroids and lies about it? Why are we disappointed when the Hebrew Hammer gets caught and gets punished? Instead, I choose to celebrate our imperfections. I appreciate a hero that isn’t perfect. Do I want athletes and actors to be role models for our children? Sure. But I also recognize that they are human. We can still celebrate Braun as the greatest Jewish athlete of this generation, even if he is flawed, even if he did wrong and asks for a clean slate. In the week ahead we celebrate Rosh Chodesh Elul. We begin the month of Elul and in doing so, we begin the Yamim Noraim, the Days of Awe. We spend the month doing teshuvah, repenting, in preparation for the New Year. In fact, in the weekday Amidah, three times daily, we ask for forgiveness for those things that we’ve wronged. We accept that we will make mistakes. We prepare to deal with the consequences when doing wrong and prepare to do teshuvah in order to have a clean slate. If we teach our children, if we teach ourselves, that there is no one perfect but the Lord our God, that we all make mistakes, then do we want Jewish role models that we expect to be perfect, or do we want Jewish role models who mess up, make mistakes, and teach our children that we all will make mistakes and in turn, we ask for forgiveness? The Jewish MVP and admitted steroid user, Ryan Braun, said: “I am Jewish. I’m extremely proud to be a role model for young Jewish kids.” I want a role model that messes up, that does teshuvah, and asks for a clean slate, as we all do. I am disappointed in Braun’s cheating just as I am with the other dozen players that will be suspended in the largest Performance Enhancing Drug bust in Major League history. However, next season, I will give him what God gives all of us: a clean slate. 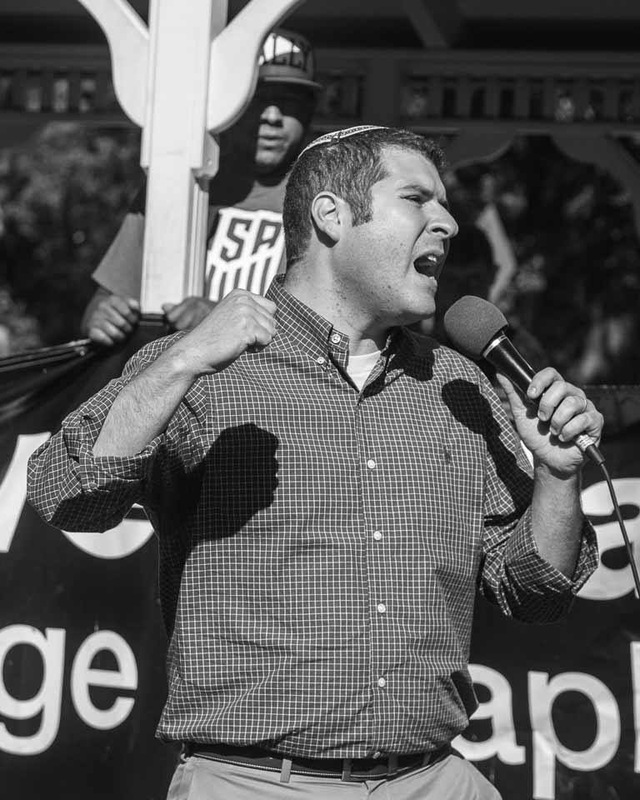 I hope he can continue to serve as a hero for our Jewish kids, a leader in the mold of Moses, King David, and all of us: imperfect. As the month of Elul approaches, let us all accept our own imperfectioins. Let us ask for forgiveness, from others, from God, and from ourselves, and let us strive to be better in the year ahead.